Footage from a police officer's body camera has captured the moment he was assaulted by a drunk man in Worthing. 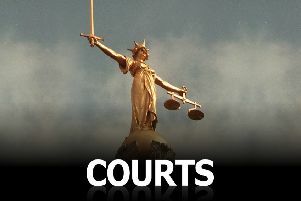 A spokesman for Sussex Police said that Edward Elsden-Smith, 22, of Offington Lane, Worthing, appeared at Worthing Magistrates' Court on March 12 and pleaded guilty to assaulting an emergency worker, criminal damage and breaching a community order. Elsden-Smith also pleaded guilty to breaching a suspended prison sentence order which he had been given for headbutting another police officer and assaulting two other police officers in Worthing in May last year. Video from an officer's body camera, released by Sussex Police, shows the incident unfolding on the night of Saturday, February 23. 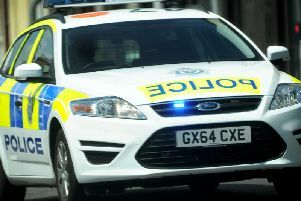 The spokesman said the court heard that two police officers, who were on patrol in Broadwater Street West at 10.50pm, received a report of a drunk man acting aggressively and threatening members of the public. The officers saw him kick a wing mirror off a parked car, said the spokesman, and then approach the marked police car to threaten them before they had even spoken to him. As the officers went to arrest him for criminal damage, he began attacking them and punched one in the face, cutting his forehead and causing bruising and swelling to his eye and nose, the spokesman said. This was all captured on the officer's body camera. The man was eventually restrained and taken to custody, the spokesman added. Following Elsden-Smith's hearing, he was jailed for 18 weeks and ordered to pay a victim surcharge of £115 and £85 costs, said police. "Our officers and staff find themselves in a wide variety of often unpredictable and fast moving situations. We do not believe that any form of assault is acceptable and should never be viewed as part of the job. We don't tolerate violence against anyone in Sussex including our own officers and staff and are robust in pursuing the offenders and bringing them to justice."